Not only are there fewer jobs in a recession, but more people are competing for these jobs as well. This means that the competition is incredible when you are looking for a job when a recession is going on. It is important that you learn top strategies for landing a job during a recession. You need to learn job finding tips and great ideas for getting promotions as well. The truth is that during a recession, the entire work force is hit hard. No doubt, you have already experienced this yourself, since when an economic downturn occurs, the unemployment rate tends to rise. When a recession hits, there just isn’t as much money circulating. Due to this problem, companies are not able to pay as many employees. This means not as many jobs are going to be available and many are laid off. When this occurs, the job market becomes extremely competitive. Many experience professionals are looking for work, making even harder to land a job at this point in time. The first thing you need to realize is that you are not guaranteed a job, no matter what your experience, your degree, or your qualifications may be. These things may help you get an interview, but they aren’t going to land you the job anymore. Credentials alone won’t give you the job. You can’t afford to rely on them. It doesn’t matter how experience you are or that you graduated from MIT. You still won’t get the guarantee of a job based upon your credentials these days. During a recession, it’s all about what you can offer the company that no one else can offer them. There are many people trying for the same position you. No doubt, they all have great qualifications too. What companies want is someone that will really make a difference for their company. No matter what kind of job you are looking for, this will be true. While anyone can have the qualifications needed, not everyone can provide skills like problem solving, high work ethic, or great leadership skills. If you can offer something other candidates cannot offer, this is what you need to focus on when trying to land a job in a recession. You need to get a bit of perspective on the job field today. Consider that you are trying to apply for a film critic job with a news paper. Several years ago, the competition would not be that tough. Sure, many people may like the job, but quite a few of these jobs were available. The problem today is that many newspapers don’t even have entertainment columns anymore. This means a lot of film critics with experience are out of work and trying to find jobs. What does this mean for you? Well, it means that finding your dream job quickly is going to be more difficult. You’ll spend a lot of time waiting for a good job along with other highly qualified people who have been laid off by companies that couldn’t afford to pay them anymore. It wasn’t too tough to get a good job when there were more jobs than people applying for jobs. Experience and qualifications used to work for landing jobs. The problem now is that people with experience and great qualifications are now all competing for just a few positions. Just remember, finding a job isn’t hopeless. However, you will need more than qualifications on your side to land a job. What you really need is persistence, passion, and versatility, which will help you find a job, even during a recession. 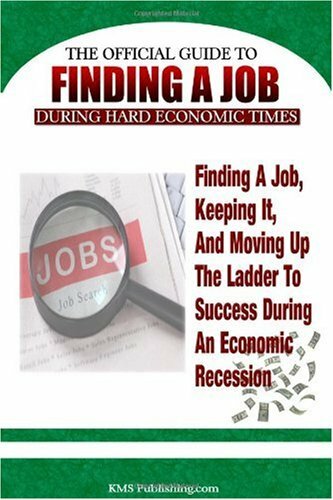 At expert author Leon Edward’s personal development website, Learn job hunting strategies, job interview mistakes to avoid, personal development training, confidence and public speaking skills, office training online employment resources all help in finding a job in a recession. ← Resumes – What You Should Never Put on Them!